A note about this week’s post: A therapist new to using yoga in rehab recently asked me about my story – my journey in yoga through the lens of physical therapy practice. That’s when I realized I’d only ever told the full story in person, during lectures and whatnot, but I’d never actually written the story down. Circa 2006 during a yoga shoot, the photographer brought in a bust of Elvis, which seemed very appropriate commentary for learning to continually move outside my comfort zone. People in chronic pain are often labeled, and the labels are not helpful or person-centered or even nice. Often deemed failures of the system, they get stereotyped, dehumanized by such labels as diagnosis seeker, prescription drug addict, wimpy complainer, or motor moron. But I don’t see people in pain that way. To me, those people are not failures of the system. Rather, I believe the system has failed them. The system I speak of is, of course, the American healthcare system. Please let me share my story with you, albeit the greatly abbreviated version. Fifteen years ago I was scurrying along, working in an underserved and generally low income area in rural North Carolina. I was a full time therapist and the clinic’s director by day, and a part-time yoga teacher and music director in the evenings. I was, as the cliche goes, “burning the candle at both ends,” but it worked for me at the time. I was childless but not by choice, so my patients became my children. I threw myself into my practice. I didn’t mind scheduling patients super-early, before daybreak even, in order to meet the special needs of these people who were traveling as far as 3 hours round trip to see me. What did all of these patients have in common, and why were they coming to see me from such a distance? They were all in chronic pain, and the overwhelming majority of them were not just women, but mothers. Read more on how America’s healthcare system fails mothers. The secret to why they were coming from so far away to see me has everything to do with my “aha” Oprah moment. 2) I hadn’t deliberately set out to only see people in chronic pain. So what was my “aha” moment? It was realizing that yoga was the key ingredient in the success of my physical therapy practice. Physical therapy ALONE was not enough to help these people in pain. People needed the holistic, mindful approach of yoga combined with the science of physical therapy. Yoga as medicine was what I was offering my patients, and they were getting better. The story doesn’t end there though. And it isn’t pretty. Long story short, I was pushed out of the practice and asked to leave. Point blank. And so I did. I quit my job. But I kept plugging away, happy to serve the patients that frankly, no one wanted to see. I just continued on in a more healthy, happy work environment. I opened my own integrative physical therapy practice and yoga studio. Yoga and physical therapy together were a match made in heaven. It was a happy, blended family. But wait, there was MORE stark reality. This new path of pursuing yoga as medicine was risky. I was the primary breadwinner at the time and in an instant – I no longer had my salary or benefits. What’s more, I would go on to terminate my insurance contracts so that I could (finally) give patients in chronic pain what they needed, not what insurance mandated (or didn’t approve). So I set out on my own. And yes, if you are wondering, I was scared. Thrilled to be free, I was also fearful of failing. My experience did go from bad to worse. Personally, I realized more than just my workplace was abusive and damaging. But I am happy to say that my practice, with some bumps and bruises along the way, grew steadily over the next 10 years. You cannot embrace the future if you are still clinging to the past. There was no way that I could receive any blessings that were to come my way if I was still hanging on to dusty old relics. This was true both professionally and personally. I had finally cultivated the courage not just to walk away, but to WALK TOWARD a better life. And so, I let it go and walked away. Why? Because I knew that yoga worked. I didn’t need any research to tell me, I had seen it with my own two eyes. For years I “kept my head down and worked hard.” I didn’t complain about insurance limits or caps or the way I was treated at my old job – but on that “aha” day – I looked up. I saw that if health care was going to change, then I needed to, as Gandhi said, “be the change.” Change had to start somewhere, and if patients were driving as far as 3 hours, one way, to see me, then I must be doing something right. Yes, I could be that change. That moment I knew that stepping out of the safety of a conventional practice was not only optional, it was necessary. Insurance companies often prove unreliable for people, especially if they in suffering from chronic pain. An insurance company may deny patients needed treatment, and I knew it was up to me to figure out how to make using yoga affordable and accessible as a physical therapist. My leaving conventional PT settings doesn’t mean all therapists should abandon conventional practices. The point is you should constantly assess whether or not your workplace is healthy and supportive of optimizing patient experience, satisfaction, and outcomes. Yoga makes me a better woman, wife, and mother. Yoga helps me remain dedicated to self-care in myself and others. Yoga aided in curing my own long-standing chronic illness and pain. Yoga led me in founding the Professional Yoga Therapy Studies program, which provides health care professionals with a framework for using yoga in rehab, wellness, and in their own self-care. In my humble opinion, yoga does work. Time is overdue for embracing a full circle return to conservative methods of caring for one’s health. Use of integrative medicine in health care, like yoga, is a prime example. Thank you SO much for that poignant comment. Writing this post was challenging – it always surprises me when I feel the past more acutely, as I write about it. It underscores that journaling, writing, blogging – is important in transformation (and healing) on so many levels! I am so thankful you shared the above story. I, too, am a PT. I have my RYT-200 and have been teaching yoga and incorporating it more and more into my PT practice. I was pushed out of my job of 18 years in October as the national health chain bought our local community hospital and closed my small satellite outpatient clinic. I am in the transition. As the main source of household income, the pressure is on. My mantra has become keep doing what makes me happy, leave money out of that equation, and things should find their way with elbow grease galore and a present mind. My recent experiences with teaching a “mindful meditation meets chair yoga” class have brought me to a new place. It is exhilarating. I could not imagine getting through this pivotal point in my life right now without yoga to ground me. I know we share very similar philosophies. I am looking forward to one day being able to participate in your PYT program. It is on my list of things to accomplish. I appreciate you. Thank you. Hello Melissa, and thank you SO much for sharing part of your story. Your experience with yoga in PT is valuable, and part of the pivotal work that is being done to transform American health care today. Bravo! You sound like you are in a good place right now – your mantra, your courage, your determination are to be admired and embraced. I do hope to meet you one day in the future, perhaps in the PYT program as you mentioned. The program is an amazing place to meet likeminded health care pros, relax, renew, and redirect your passion for helping others (and for your own self-care!). Thank you also for taking the time to read the post and comment. Building a community of support for this grassroots movement is vital to our own well-being, not just the success of the effort. Slowly wading through stuff that came in while I was off the grid. Thanks for sharing! And very good points about leaving behind the dusty relics, including the thoughts and emotions that come with them. To “be the change” we can’t waste energy with anger/frustration/sadness about the way things are. Thank you for taking the time to stop in AND to comment Stefanie. I really appreciate feedback and input – we are all moving forward together! Thank you for sharing your story. Your thoughts echo my own. Yoga has altered my path in life. I am lucky to work at a PT practice where I am supported. However, insurance requirements and limitations are becoming a daily source of frustration. It is challenging as a mother and bread-winner, to find the courage to move forward. Thank you for your example and I do hope to find my way to your trainings in the future. Thank you so much for reading my story Meghan, and for taking the time to not only comment but to share your story as well. I hope to meet you at a future PYTS training – it is a wonderful gracious space where you can share your story and befriend like-minded health care pros whose journey mirrors your own. 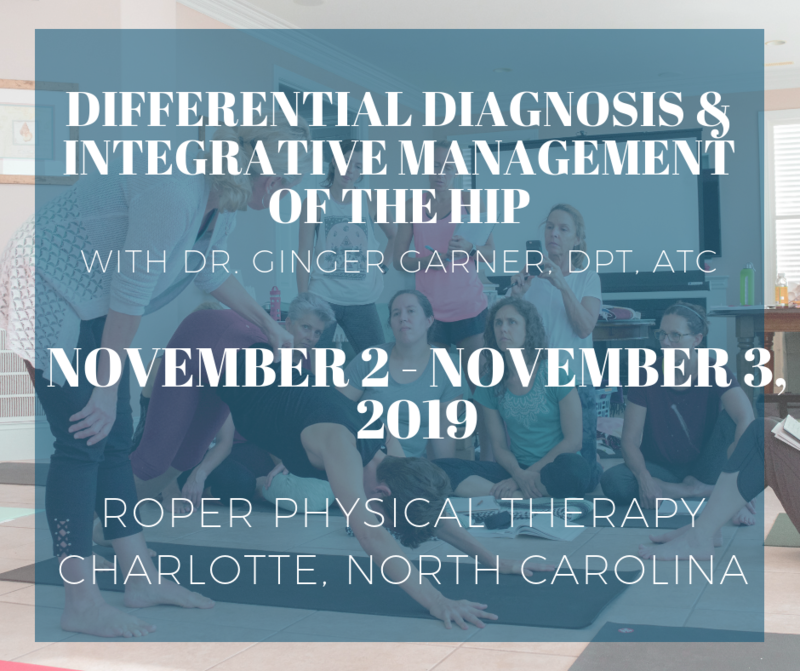 It’s a supportive environment like no other, it’s a real dream recognized to be able to bring together health care pros from all over the world to study yoga at this level – both for your own self-care and that of your patients.